A number of you weighed in further, both on Twitter and in the comments section. For some, calling the park Malcolm X is a symbolic gesture, having to do with D.C. self-determination and also pushing back a mostly-white Congress rejecting a proposal from a black city. 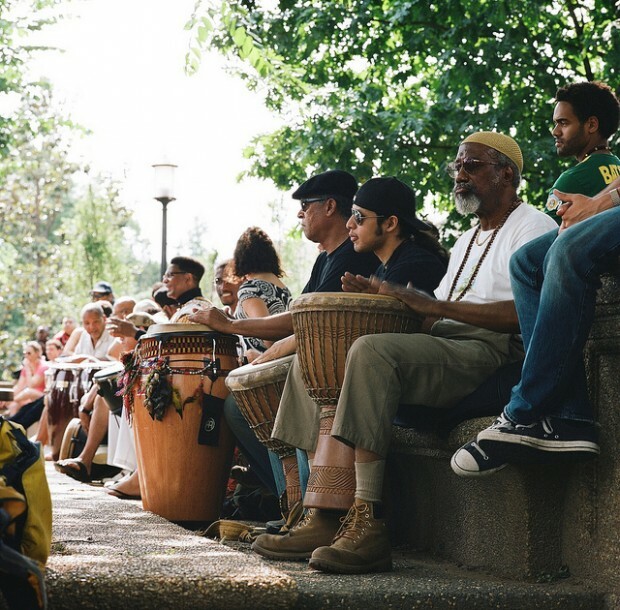 Others pushed that Meridian Hill Park is the most accurate name, and that Malcolm X had no significant connection to the park. It’s Meridian Hill Park. A proposal came before Congress in 1968 and it failed. End of story. A proposal came before Congress to refer to 16th Street as “Ronald Reagan Boulevard” but it too (thankfully) failed. Still, you don’t see street signs that name the road after the 40th President. Anyway, we’ll keep the poll open for a little while longer, so cast your vote if you haven’t already. An interesting debate arose on Twitter this afternoon after Washington City Paper managing editor Mike Madden declared that the newspaper would refer to the park at 2500 16th Street NW as Malcolm X Park, not Meridian Hill Park. A city sign refers to the park using both names. A proposal came before Congress after the 1968 riots to officially rename the park as Malcolm X Park. It didn’t pass, but the name persisted. 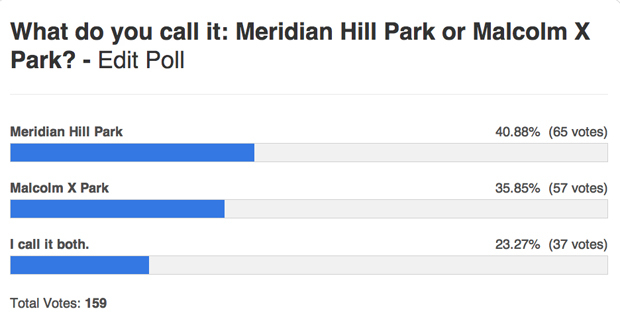 We asked what our readers call the park and why. 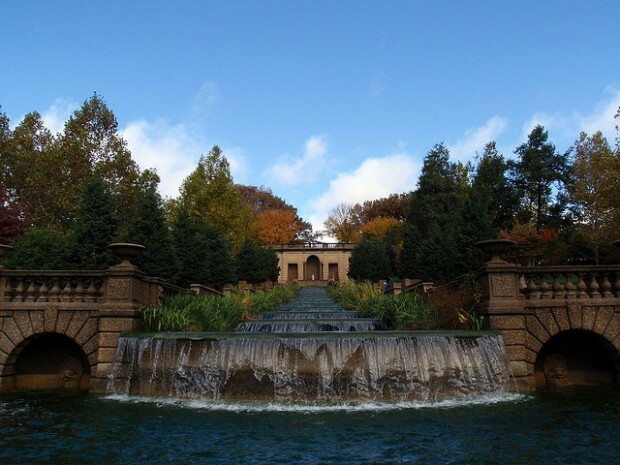 A number of you tweeted that the name you use, both Malcolm X and Meridian Hill, is how you were first introduced to the park. Native and longtime Washingtonians were also split. (Disclosure: I’ve been known to call it Malcolm X Park). But why not a more systematic way to measure the pulse of D.C. on this issue? Alas, a poll. Vote below, and tell us your reasoning in the comments section. Do you think the name people use says something about their connection to D.C., or is it just about what’s most accurate?